Baahubali Star Prabhas is Finally on Instagram And Fans Can’t Keep Calm! Following the much social media demand to have their favourite star on Instagram, Baahubali actor Prabhas has finally made his debut on the photo-sharing app. 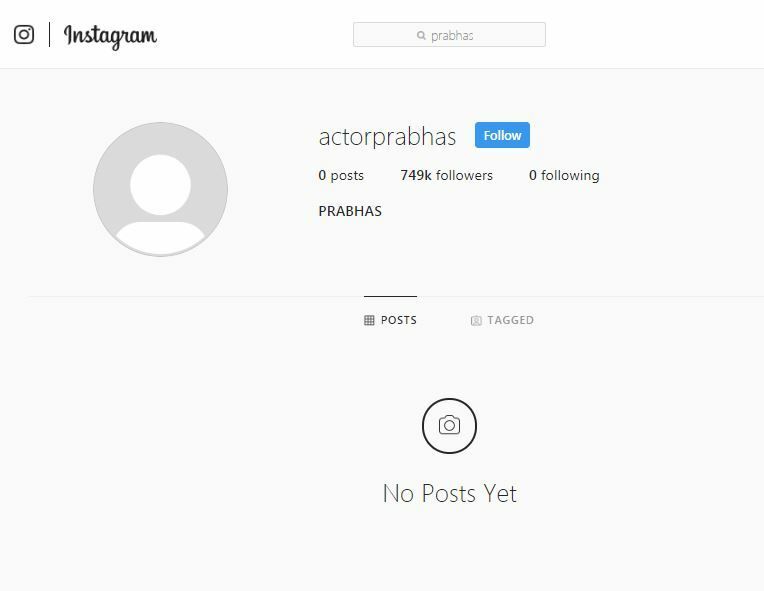 As the news got out, the fans flocked online to instantly follow him and even without any post on his profile, Prabhas has collected over 7 lakh followers and the numbers are still soaring. While the actor has a Facebook page which keeps flooding with love from fans, given there are 10 million of them on the app, Prabhas’ entry on Instagram was much awaited. Excited about her co-star’s debut, actress Tamannah Bhatia told Pinkvilla that he has finally arrived after much coaxing from their end. Stating her happiness on the same, Tamannah assumed Prabhas’ fans reaction on the news. As for the fans, we are sure they are growing anxious by the minute, waiting on the edge, speculating what his first post will be about. On the professional front, Prabhas will be seen in Sujeeth’s Saaho with S Shraddha Kapoor. It is slated to be released on August 15 this year. Saaho is being made in three languages – Hindi, Tamil and Telugu on the budget of Rs 300 crore. It has been deemed as Tollywood’s most expensive action drama till date. Saaho also marks Shraddha’s debut in the Telugu film industry. Apart from Shraddha and Prabhas, the film also features Neil Nitin Mukesh, Mahesh Manjrekar, Arun Vijay, Mandira Bedi and Chunky Pandey in important roles. The music of the film is given by trio Shankar-Ehsaan-Loy.